London, UK – 21st February 2018 – Canonical, the company behind Ubuntu, today announced that Ubuntu Core will be deployed across Rigado’s Edge Connectivity gateway solutions, further establishing Ubuntu Core as the premier operating system for edge computing devices. Rigado’s enterprise-grade, easily configurable IoT gateways will offer Ubuntu Core’s secure and open architecture for companies globally to deploy and manage their commercial IoT applications, such as asset tracking and connected guest experiences. Rigado’s IoT gateways can be used across a variety of vertical market use cases, and are particularly popular across retail and hospitality industries where commercial spaces require a secure and scalable infrastructure for edge computing. The gateways support a wide range of connected technologies, including smart lighting, asset tracking, sensors and monitoring, and will be available with Ubuntu Core by summer 2018. In addition to integrating Ubuntu Core with their gateways, Rigado has also adopted Canonical’s IoT app store, enabling themselves and their reseller partners to curate a customised suite of IoT applications for their customers. System integrators and IoT solution providers can create their own private app stores for industry-specific solutions. Rigado’s Edge Connectivity solutions will support the Ubuntu Core and snap architecture, providing a platform for the development of sophisticated control, monitoring and tracking applications. Further supporting security, Rigado gateways include a secure boot function and encrypted file systems which protect the integrity of the code and data on the gateways, preventing unauthorized code from being loaded. And, each instance of Ubuntu Core on a Rigado gateway is fully supported by the Canonical security and update service with updates and software installations managed through Rigado. Ubuntu Core is a minimalist, transactional version of Ubuntu designed for IoT devices, running a new breed of highly secure, remotely upgradeable Linux app packages, the aforementioned snaps. Rigado’s integration of Ubuntu Core with their IoT gateways is the latest example of Ubuntu Core being trusted and deployed by leading IoT players, from chipset vendors to device makers and system integrators. Snaps allow developers to quickly build and users to easily install software, making it ideal for fast IoT deployments plus the ability to have multiple applications running on a single gateway. Snaps enable Rigado users to purchase a device now that will be able to install new features and applications, without the need for future hardware upgrades. Rigado’s gateway with Ubuntu Core will be on display at Embedded World 2018 in Nuremberg on Canonical’s stand (4-568) from 27th February – 1st March. Rigado delivers edge connectivity and computing solutions for large-scale IoT deployments. Their products include IoT Edge Gateways with integrated management services, as well as certified low-energy wireless modules for end devices. 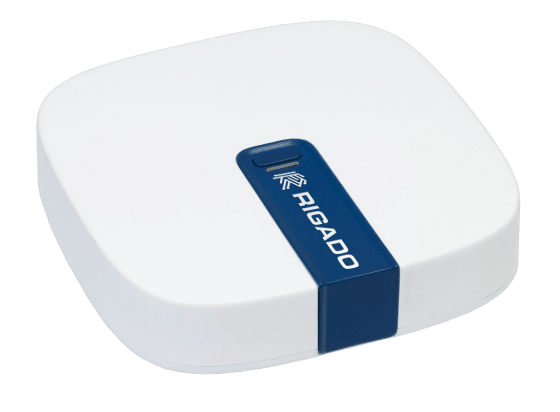 Rigado’s edge connectivity solutions power more than 250 global customers and 5 million connected devices.